I still am not sure what Japanese people mean when they say "American Joke" but I think I know. so here it is, a joke relating to Japan made by an American. 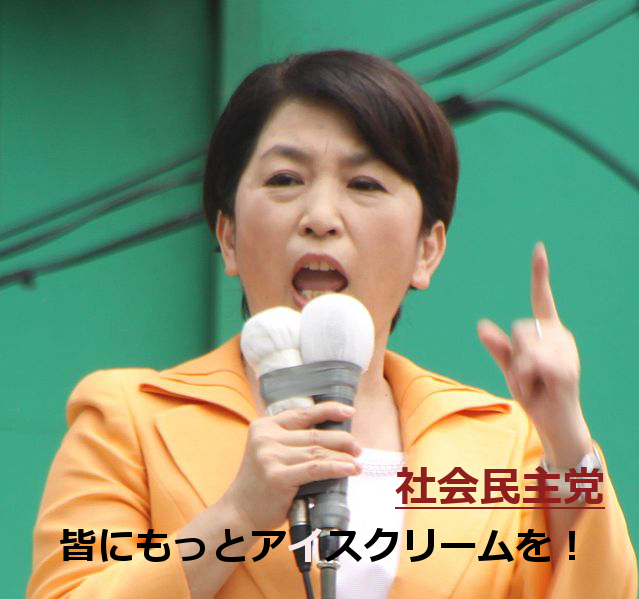 This is Mizuho Fukushima, chair of the Social Democratic Party of Japan. The caption reads "More ice cream for everyone!"